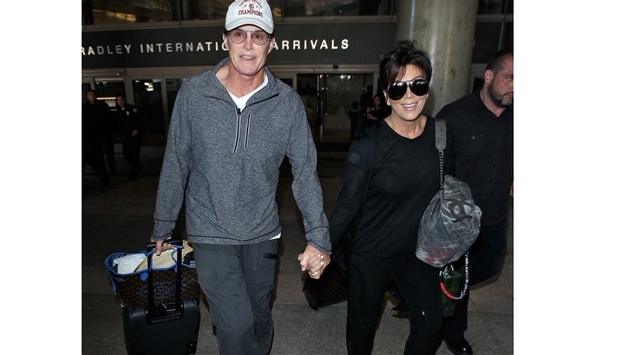 Kris, Bruce Jenner Hold Hands At LAX: Back Together? Despite their separation, Kris and Bruce Jenner looked super close at LAX airport on Wednesday (April 2). The separated couple, who has been married for more than 22 years, were holding hands and smiling at the airport after returning home from a family trip to Thailand. The Kardashian-Jenner family visited Southeast Asia, where they were photographed filming the next season of "Keeping Up With The Kardashians." While this isn't the first time Bruce and Kris have been seen together, it is the first time they've been photographed being intimate since their separation announcement in October 2013. The emotional decision to break up was documented on the reason season of "KUWTK." Bruce, 64, moved into his Malibu home, while Kris, 58, stayed in the family's Calabasas house. "To be honest, I just don't see myself going back," Bruce admitted on the season 9 premiere of "KUWTK". "We both seem to be doing better with our space." What do you think? Is Thailand capable of reigniting a faded flame?